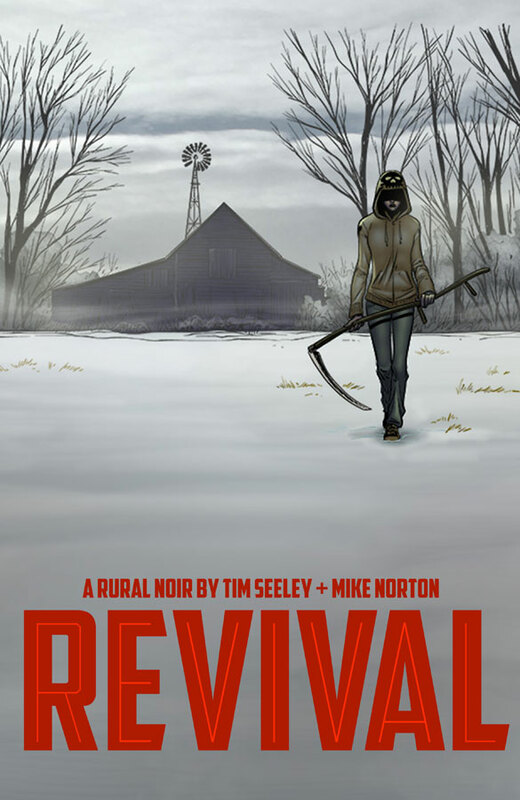 Shatterglass Films announced during a panel at this past weekend's C2E2 convention in Chicago that they are producing a live-action adaptation of Tim Seeley and Mike Morton's Image Comics series 'Revival.' Fans in attendance were lucky enough to view the first teaser trailer for the production and now you can too. For one day in rural central Wisconsin, the dead came back to life. Now it's up to Officer Dana Cypress to deal with the media scrutiny, religious zealots, and government quarantine that has come with them. In a town where the living has to learn to deal with those who are supposed to be dead, Officer Cypress must solve a brutal murder, and everyone, alive or undead, is a suspect. Bleeding Cool had the exclusive first look and also reported that production is slated to begin in early 2018 with Shatterglass Films co-founder Luke Boyce directing a script co-written by Seeley and Sarah Fischer. Seeley and Morton will also serve as producers. “I am beyond ecstatic to be bringing this incredible work to life. ‘Revival’ has consistently been one of the best titles from Image in the past few years and one of my absolute favorites since it debuted in 2012. Long before I ever met Tim and Mike, I dreamed of being able to adapt this story on film and I intend to do everything I can to realize it to its full potential.” said Boyce on the panel. No release date has been announced yet but the award-nominated horror thriller series follows the success of other Image titles that either was successfully adapted to the screen or are in the process of being adapted. 'The Walking Dead,' 'Outcast,' 'Chrononauts,' 'Postal,' and others have made the jump to TV/film or are about to.